I’ll be at the Cardinals-Brewers game tonight at Busch Stadium. They’re handing out Cardinal Squirrel towels for the game. 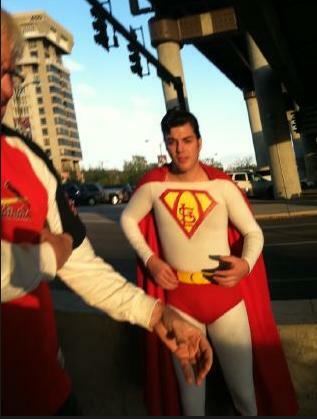 UPDATE: I ran into Super Cardinal Man before the game outside Busch Stadium. He must have brought the Cards good luck. They ended up punishing the Brewers 7-1. The Cardinals now lead the best of seven series 3-2.